I promised you three different options for tomato sauce, and we’ve covered the basic jar and a homemade tomato mushroom sauce. 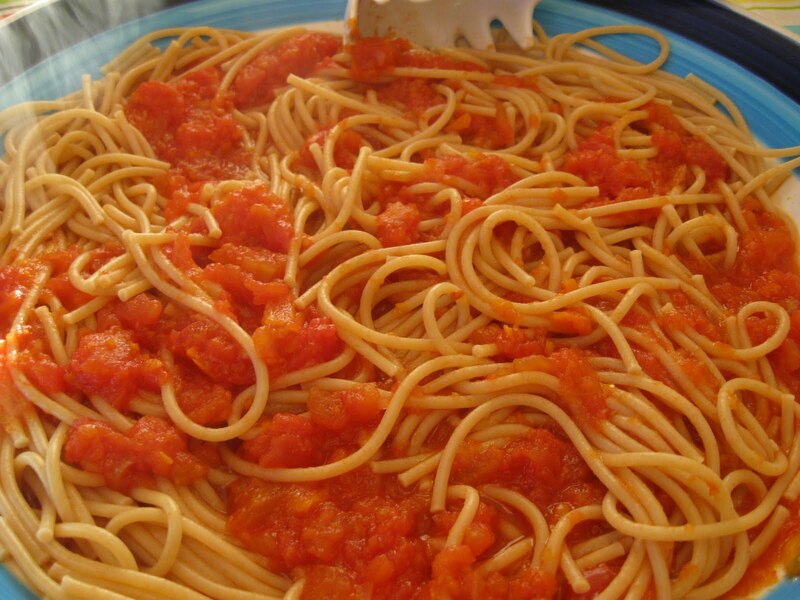 But this post is about really homemade tomato sauce. The kind where you start with a 25 lb. box of discount tomatoes and recruit your family to work together for hours in the kitchen. I swear, they’ll thank me when they pull a container of sauce out of the freezer on a cold December evening. In the meantime, they’ll have to settle for credit here. Let’s start with the raw materials. 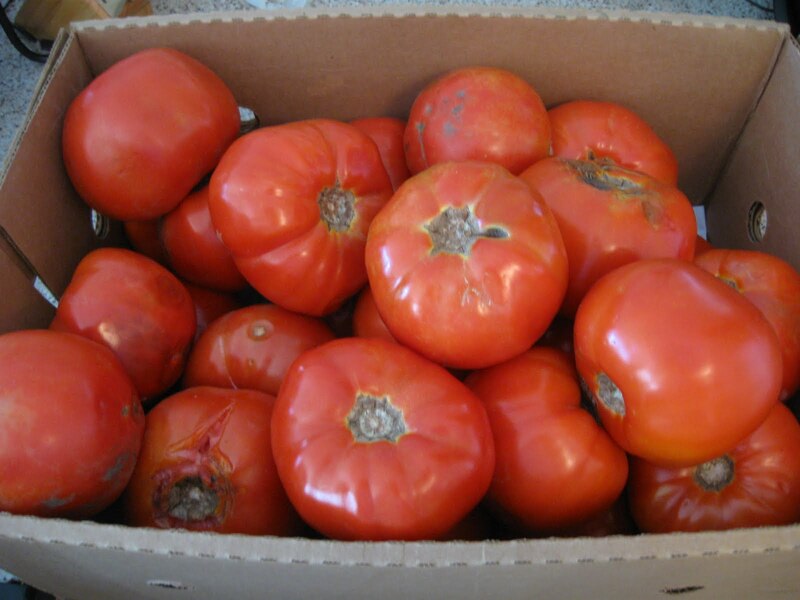 The tomatoes came from a Rhode Island farm which sold them at a discount as ‘canning tomatoes’. I am guessing that we started with about 25 lb. of tomatoes, but there were a few truly rotten ones in the box that had to be thrown away. We also used 2 lbs. 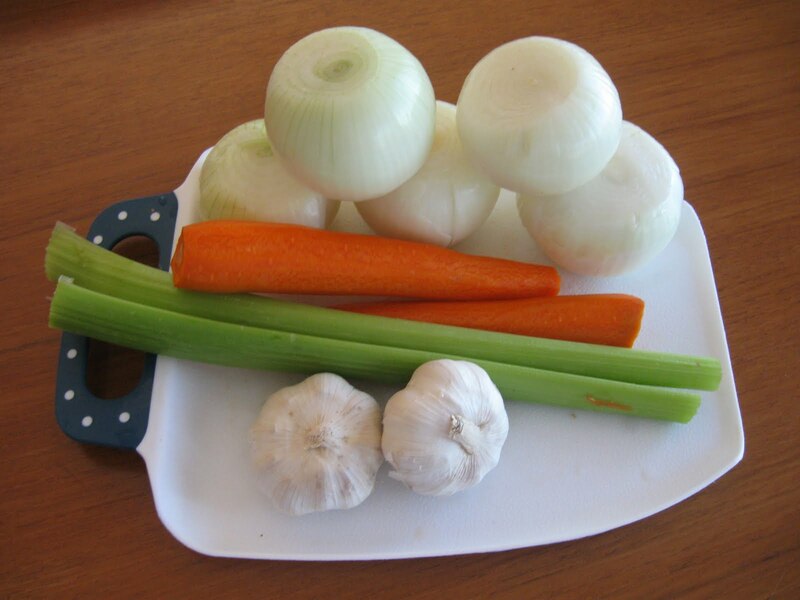 of onions, 2 carrots, 2 stalks of celery, 2 heads of garlic, olive oil, salt, and basil. We tried to create a tomato processing assembly line. First, my Dad cut an X in the bottom of the tomato. 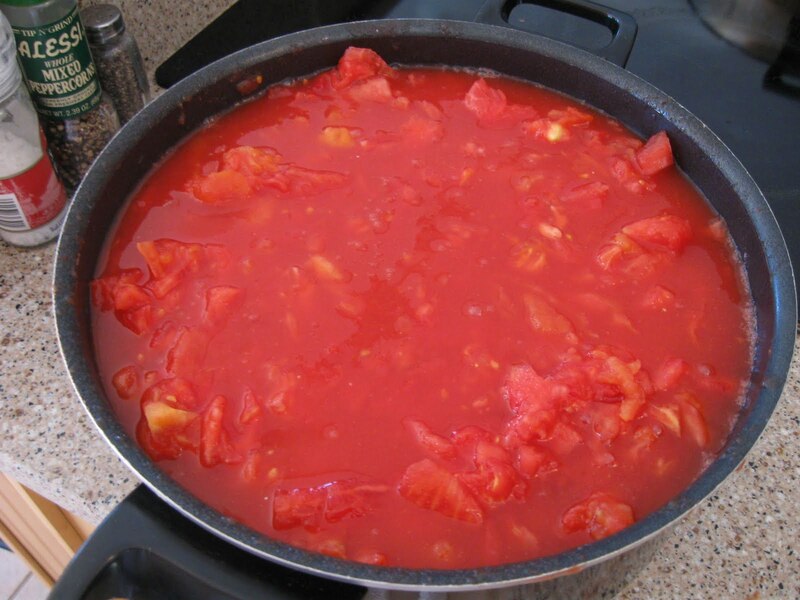 Then, he dipped the tomato in a large pot of boiling water for 30 seconds, and placed it in a bowl of ice water. After this point, it was easy for me to peel the skin. Here’s where things got a little tricky. We tried a few different ways to remove the seeds using a food mill, but ended up doing things the old fashioned way with knives and fingers. 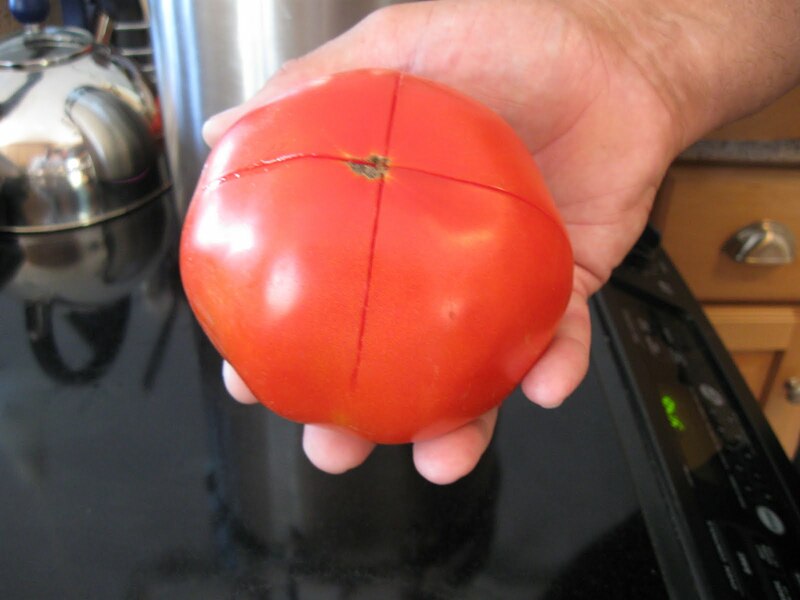 If you quarter the tomato once it’s peeled, you can remove most of the seeds with your fingers. 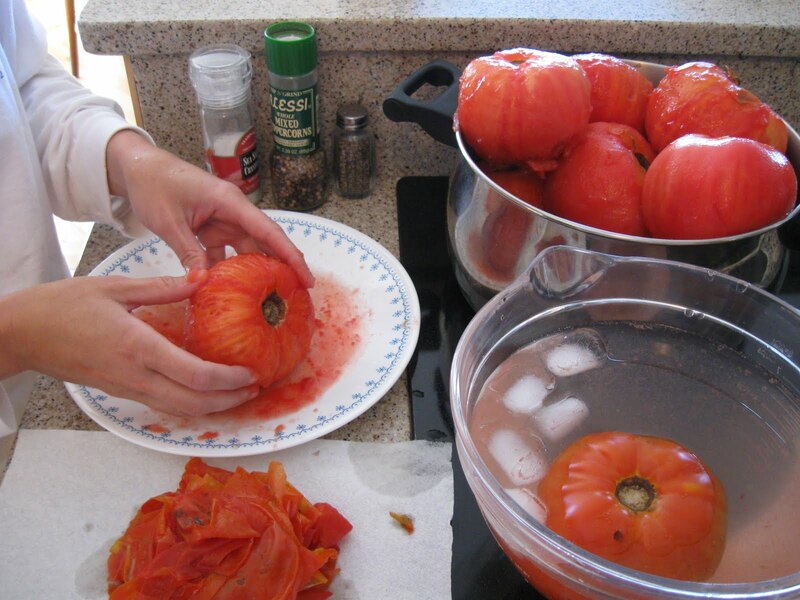 Then you can chop the tomato pieces into one bowl (or a large pot, since we didn’t have a bowl big enough), and pour the tomato juices from the cutting board into a different bowl to be strained. This was the most time consuming part of the project, not to mention that the kitchen was covered in tomato juice at the end! But it was so much more fun than opening a can. 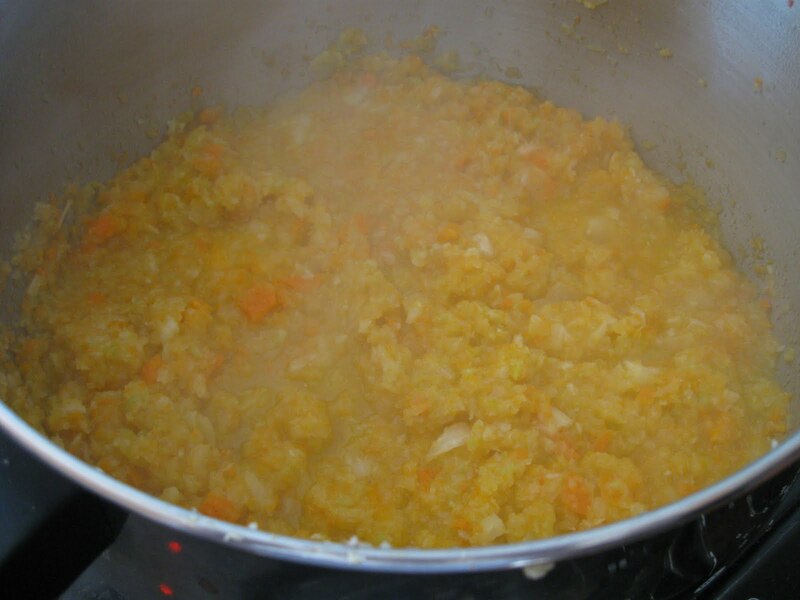 We let it simmer for a long time on the stove, about 4- 5 hours. While the sauce was cooking, we added a glug of red wine, 3 T of salt, and chopped fresh basil. The sauce was still fairly thin, so I also added a can of tomato paste. We probably shouldn’t have added so much of the tomato juice into the pot, but another can or two of paste would easily fix this issue. In the end, our sauce wasn’t spicy (but you could add more pepper and oregano), it wasn’t sweet (but you could add sugar), and it wasn’t rich (but you could add more oil). The sauce did have the undeniable good taste of fresh tomatoes. There is a certain sense of satisfaction that I get when I sit down to a really great meal cooked from scratch. There is also a sense of satisfaction in using fresh local ingredients, and stocking the freezer for the upcoming fall. You might argue that it is more economical to use canned tomatoes, but since fresh tomatoes are available now, this was a lot more fun. 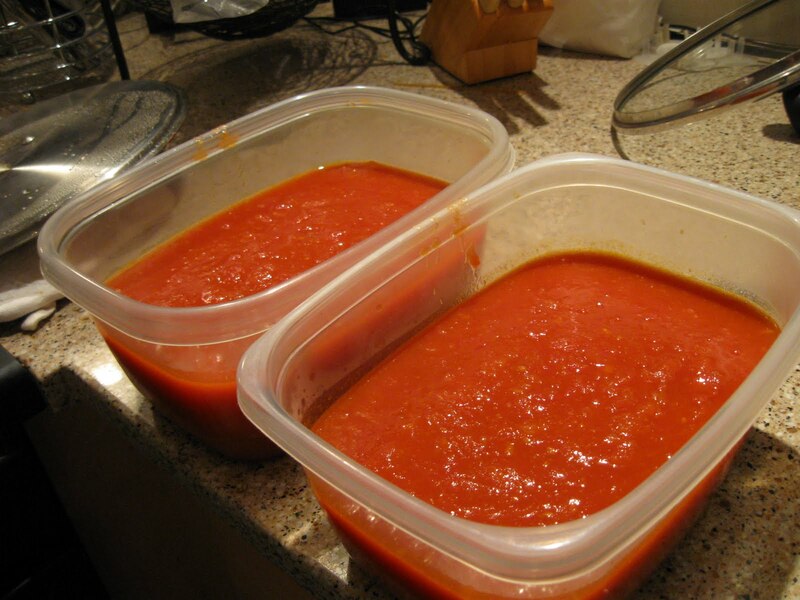 We all enjoyed a pasta dinner, and then divided the sauce into containers for the freezer so we can remember that crazy September day we spent turning a big box of tomatoes into a fresh sauce. I am sure in December I will thank you when I take the sauce out of the freezer. In the meantime, I don't think I can stand to look at another tomato! looks great! I'd love to have some of that in my freezer! I bet the kitchen smelled great as well! I think we might still be finding stray tomato seeds in December!